54% more leads are generated by inbound marketing than traditional marketing methods. Inbound marketing is the future of digital marketing. Our inbound marketing services help you to build your inbound expertise and output fast. 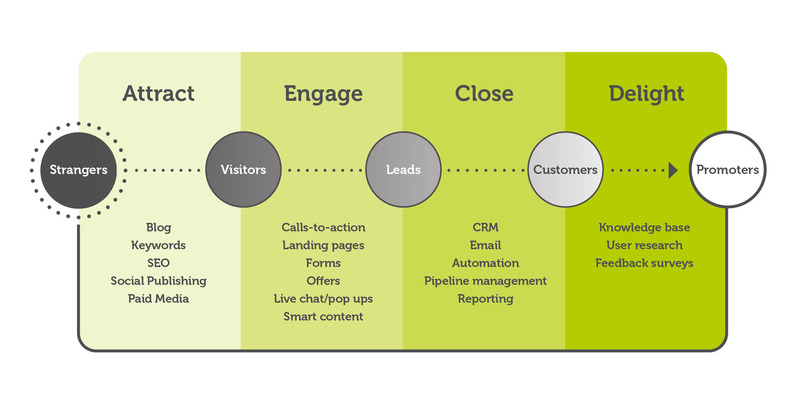 Inbound marketing is built for today’s new buyers. It’s about creating a marketing ecosystem that feeds your sales teams with interested, active prospects. Our inbound marketing services aim to improve traditional marketing techniques of buying print ads, the drudgery of cold calling and other outbound techniques. The creation and sharing of quality content are the heart of inbound marketing to naturally engage people with your brand and your early sales process. This new method of marketing also dispels the old school notion that sales and marketing are separate entities. We can help you build an inbound marketing machine that will help you achieve your business goals, organise your marketing and get in control. Stop interrupting and start attracting prospects with our inbound marketing services.